In recent years, transmedia storytelling has gained a new dimension along with developing technologies. In Central Asian countries, where local values are strongly observed, the extent of local values' impact on transmedia storytelling has been a considerable dispute. 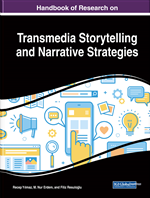 In this chapter, the application of the concept of transmedia storytelling and transmedia narratives in advertising campaigns in Kazakhstan and Kyrgyzstan was explored. In the theoretical part of the research, the application of transmedia storytelling and transmedia narrative in narrative advertisements was examined. In the practical part of the research, a qualitative research was carried out to investigate the advertising campaigns realized in the framework of transmedia storytelling in Kazakhstan and Kyrgyzstan. In the survey of established advertising campaigns, the implementation form of a transmedia narrative has been examined, and evaluated through the transmedia narrative perspective. Local stories are considered as an important part of cultural peculiarities of the societies. These stories represent magic world of the heroes’ mysterious lives who bring societies closer with the help of the narrators. More and more people have been affected by the technological progress. While the spread of legendary, epic and fairy tale heroes was realized through oral narration from generation to generation, the transmission of the narratives through communication tools has provided new ways delivering the stories to the audience. The stories narrated in every period of history have affected people by their peculiarities and have continued to be transmitted orally from generation to generation (Dönmez & Güler, 2016, p. 156). It has been noticed that the storytelling technique has been affecting a broad universe via modern communication means at present time. In this age, where different stories exist in different cultures, and these stories regarded as one part of each cultures' asset have been presented to the public via these modern means of media. The tales of the Kazakh and the Kyrgyz people are among the most interesting works in world literature. As far as the Kazakh and the Kyrgyz used to lead nomadic way of life, the oral culture was developed well. The stories were orally told from person to person. Vast expanses, high mountains and nomadic lifestyle of the Kazakhs and the Kyrgyz became the source of their stories. The nomadic free lifestyle was an important part of their culture. This type of lifestyle became the source of their verbal cultures and hence, the richness of their oral stories. Radloff (2017) noted that the Kazakhs and the Kyrgyz used to live freely and independently in a wide geographical area. Before joining the Soviet Union, these nations lived their golden ages of oral culture and the stories were orally transmitted from generation to generation. Alkaya (1999, p. 253) states that stories such as AimanSholpon (AymanŞolpon), ShakirShekret (Şakir Şekret), Bozoglan (Bozoğlan), Kozi kopersh and Munnlik (Kozı Körpeş ve Munnlık), Zaklik (Zaklık) are the stories that describe Kazakh culture. As for Kyrgyz works, epics such as Kojajash (Kojojaş), Er Toshtuk (Er Töştük), Zhanysh Baiysh (Canış Bayış), Er Tabildi (Er Tabıldı) and Sarinci-Bokoi (Sarinci-Bököy) that reflect heroism, mythological and social life played an important role in affecting people’ ideology (Jusupov, 1999, p.6). Many epic stories and legends became masterpieces of Kyrgyz storytelling. Stories were spread to the public by the poets. Well-known Kyrgyz poets, such as Arstanbek, Moldo Kylych and Moldo Niyaz used to transmit their stories to the public orally. (Ploskix, 2004, p. 211). After 1991, along with the separation from the Soviet Union and gaining independence, the construction of private television and radio stations in Kazakhstan and Kyrgyzstan was realized that shifted the people’s views to positive direction. Especially after 2000, the investments made in communication technologies provided new opportunities for the communication. In the same years, mobile phone utilization and increasing number of Internet users speeded up the interaction among people and provided the society with digital culture. The rapid penetration of digital media, such as smart phones, tablets and social media networks led to rapid changes in people's lifestyles. In that period, the transition from oral culture to digital culture led to rapid changes in Asian people’s lifestyle. People who used to listen to narrators like ‘Manaschy’ now started to listen to the same stories from television, radio, and internet or from social media networks. The Kazakh and Kyrgyz people got adapted to transmission process of traditional narrative forms to digital forms in a short period of time. As a result, commercial organizations operating in these countries benefited from this digital transformation and from each of the digital media tools with the purpose of increasing sales in their commercials. The Kazakhs and Kyrgyz who changed the nomadic lifestyle to settled way of life have been trying to maintain their customary lifestyles in everyday life as well. National games, one of the most important values ​​of nomadic life are among the indispensable elements of their social and cultural life at the present. For this reason, companies that aim to gain benefit via advertising own products, use stories reflecting those national games in order to draw attention of the audience. Strategies of advertising using transmedia storytelling have been developed to stand out among thousands of goods and to attract the public attention. Kyz Kuumai: One of the Kyrgyz traditional games where a young man and a young woman compete on horses. A girl is in the front (15-20meters distance) riding a horse. If a man catches up to her in the race, he is allowed to kiss her, but if he fails, he is whipped by the girl. This game has been played since the past to demonstrate the merit of marrying the beloved woman. It is obligatory to play the game in traditional Kyrgyz clothes. Tebetei: Tebetey is a headwear made from the skin of expensive wild animals such as foxes and beavers. Tebetey is made according to the age of the person. While the tebeteys worn by the young people are generally of red, green and blue colours, the elderly prefer black and brown colours. Kazakh Wrestling: One of the traditional Kazakh sports. The Kazakh wrestling, which has its own outfit and rules, differs from other wrestling sports by availability to hold the belt. According to the Kazakh wrestling rules, it is forbidden to move the knee and keep it in the distance. To win, the wrestler who falls down, the opponent must keephis two shoulders stick to the ground. According to the rules if the shoulders do not touch the ground, the number of wrestling matchesare counted and the team with more scores wins. In addition, the Kazakh wrestling was taken to the list of UNESCO as non-specific cultural heritage in 2016. Bozui (Kyrgyz Dwelling): The Kyrgyz and Kazakh people’s dwelling that took an essential place in their nomadic lives. Bozui emerged as a result of nomadic culture of the Kyrgyz and Kazakh people, that has thousands of years of history. The Kyrgyz people who resided in Alatoo steppes created this type of dwelling made of easily transported wood and felt to construct or deconstruct it in a short time. Bozui is constructed of several parts such as its tunduk (roof), kerege (joist), kiyiz (felt) etc. Until the first half of the 20th century the Kyrgyz lived in bozuis. Nowadays, Kazakh and Kyrgyz people living in cities consider bozui as a cultural value, and usually use it during mourning. When a person dies, the bozui is set up and the body of the dead is put inside. Then, special rituals are held, like cutting an animal, making pray for the dead, etc. Manas Epic: One of the most important works in history of the Kyrgyz oral culture. One of the world's longest epics, the Manas Epic is made up of half a million lines. It is composed of three parts. The period of Manas, his son Semetey and his grandson Seytek are described in the epic separately. The epic was narrated by 3 outstanding figures, they are Sayakbai Karalaev, Sagynbai Orozbaev and Jusup Mamai. The Manas epic is a work that reflects the history, lifestyle, customs, traditions and beliefs of the Kyrgyz people. At Chabysh: Kyrgyz and Kazakh national game played on horses. The purpose of this game is to test the horses’ speed and power, and usually played during the festivals and others occasions among Kyrgyz and Kazakh people. This game is entertaining, and at the same time plays an important role in fellows’ horse riding education. At chabysh can be observed in many of the Kazakh and Kyrgyz epics’ and narratives’ contents. Kyrgyz epic- Manas can be a good example for this. Kurmanjan Datka: A national hero of the Kyrgyz, known as a brave and wise personage among people. The Datka title was given to her later. The word Datka means general in Kyrgyz notion. She was the only female leader of the Kyrgyz named Datka. It is possible to see the sculptures of Kurmanjan Datka everywhere in Kyrgyzstan today. There are many stories about Kurmanjan Datka told among the Kyrgyz people. Umai Ene: One of the frequently used figures in Kyrgyz and Kazakh mythology. These characters are very common in Kyrgyz epics, tales and stories. Umai Ene is believed to be sacred and protective power among the Kyrgyz and Kazakh people. On March 21stturkic people celebrate Nooruz holiday, which is considered to be the beginning of the year. Then, people ask Umai Ene to give a prosperous year. Kymyz: The national drink of Kazakh and Kyrgyz people and considered as a valuable drink. The drink is made by fermenting a mare milk, it contains a low amount of alcohol. Also, it is used as a medicine for the sick. First, mare milk is poured into the gourd and left to be fermented later. Every fresh portion of milk is added to the rest, then, mixed with a stick. There are several types og the kymyz: freezed kymyz, saamal (fresh milk) kymyz, etc.